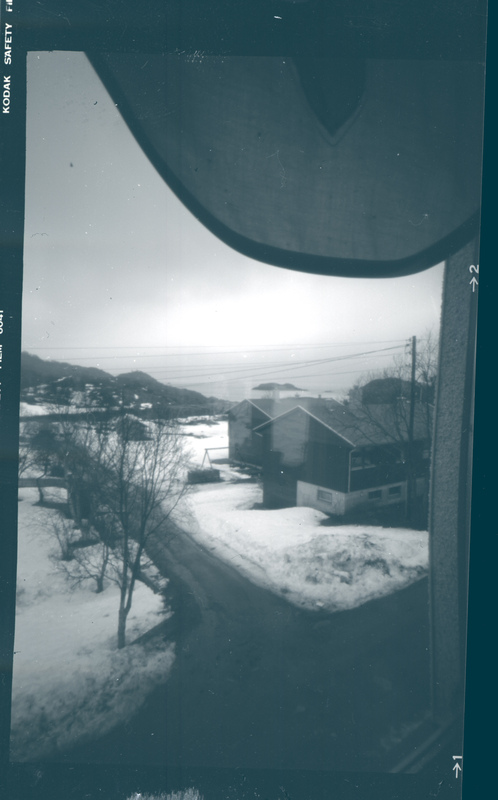 The camera was aimed out of a window in the house that I lived in at that time. I don’t remember the exposure time, but it was more than a minute. After the exposure I went to the darkroom and developed the small piece of film, in total darkness. The exposure wasn’t to far away, so I somehow got bitten by the pinhole bacille. I made a few other exposures with that little camera, but then I bought some 4×5″ film holders and had to make a camera for those. I made one of several layers of cardboard and gaffa tape, and I still have that camera. It is the best camera I’ve ever made.